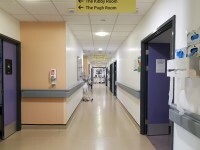 Services on the first floor include: a ward and the Physiotherapy Department. 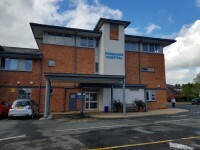 Pershore Community Hospital is located on Queen Elizabeth Drive and can be accessed by the A44. 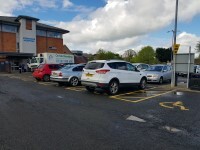 Pershore Community Hospital has its own car park for visitors and staff with 10+ Blue Badge bays. The nearest bus stop is located on the High Street with routes 51, 52, 53, 384, 565, Rural 2 and S51 operating here. 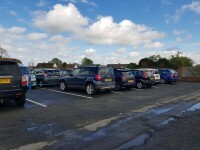 The nearest train station is Pershore and is approximately 1.3 miles away. 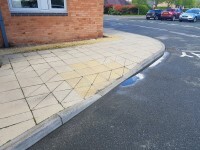 The links below are for the bus providers near Pershore Community Hospital. The link below is the train provider for Pershore. 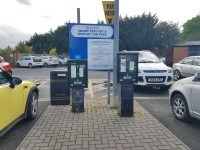 The dimensions of the designated Blue Badge parking bay(s) surveyed are 366cm x 519cm (12ft x 17ft). 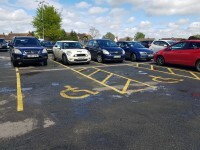 The nearest designated Blue Badge parking bay is approximately 9m (9yd 2ft) from the Main Entrance. 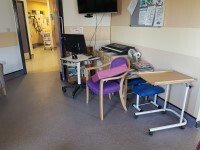 You are on Getting To (Pershore Community Hospital - Ward). Skip to the next section. 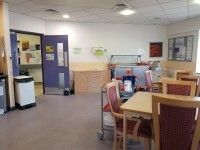 Pershore Community Hospital - Ward is/are located on the first floor of Pershore Community Hospital. 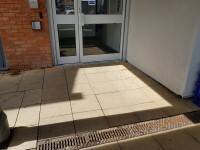 Access to Pershore Community Hospital - Ward is via the Main Entrance. 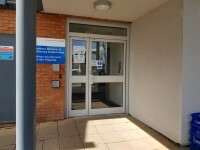 Enter via the Pershore Community Hospital Main Entrance. Turn right though the doors and the lift is located straight ahead. 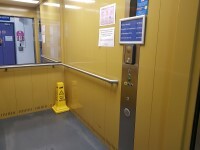 Take the lift to the first floor. 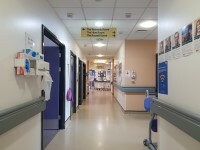 Exit the lift and the ward is located straight ahead. 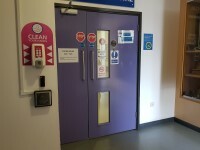 There is step free access, via lift, to Pershore Community Hospital - Ward. 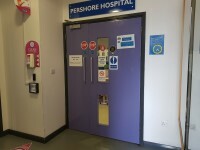 Pershore Community Hospital - Ward is approximately 1m from the lift. 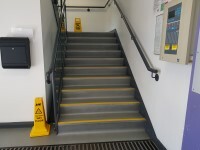 The push pad or push button is 85cm from floor level. 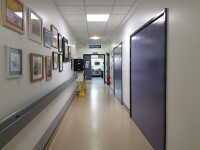 There are manual, heavy, single doors to enter and exit the stairwell on the first floor. 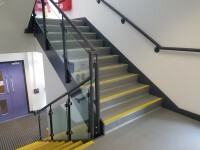 The floors which are accessible by stairs are G,1,2. 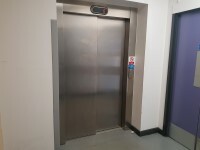 The floors which are accessible by this lift are G,1,2. The colour contrast between the external lift controls and the control plate is fair. 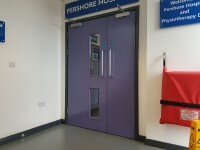 The clear door width is 112cm (3ft 8in). 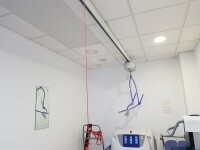 The dimensions of the lift are 121cm x 231cm (3ft 12in x 7ft 7in). There is/are 10 side room(s) available. 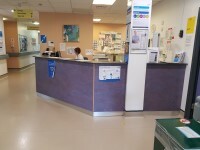 The height of the Nurses' Station desk is 111cm. There is a hearing assistance system available at the desk. 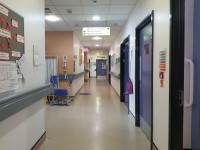 There are set visiting times for the ward. Visiting times are 14:00 to 19:00. The visiting times are the same for each day. Protected meal times are between 13:00 to 14:00. 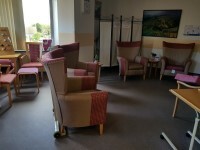 The waiting room / area is approximately 3m from the ward entrance. 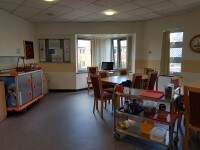 You are on Room / Area (Dining Room). Skip to the next section. The name / number of the room / area surveyed was; Dining Room. You are on Washroom (Bath). Skip to the next section. The dimensions of the washroom are 563cm x 239cm (18ft 6in x 7ft 10in). 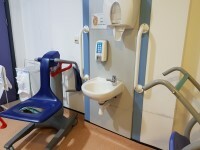 The height of the wash basin is 76cm. The tap type is twist/turn. It is a mixer tap. The height of the towel dispenser is 138cm. The lateral transfer space on the left is 347cm. The lateral transfer space on the right is 262cm. 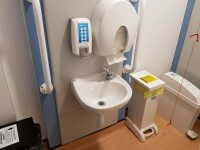 The height of the toilet roll holder is 63cm. The height of the side of the bath from floor level is 64cm (2ft 1in). The bath tap type is push button. It is a mixer tap. 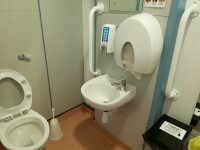 The dimensions of the accessible toilet are 137cm x 190cm (4ft 6in x 6ft 3in). The height of the light switch/pull cord is 127cm from floor level. The height of the coat hook is 157cm from the floor. The height of the towel dispenser is 101cm (3ft 4in). 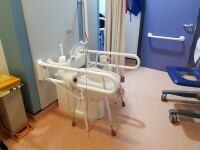 The contrast between the wall-mounted grab rail(s) to the left of the toilet and wall is good. 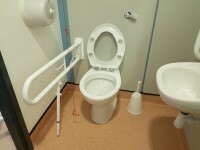 The contrast between the wall-mounted grab rail(s) to the right of the toilet and wall is poor. 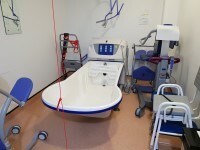 The shared toilets that were surveyed are located next to the ward nurse base. There is a vertical grab rail to the right of the seat. 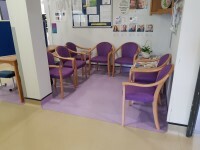 Pershore Community Hospital - Physiotherapy link (new tab) - click here.